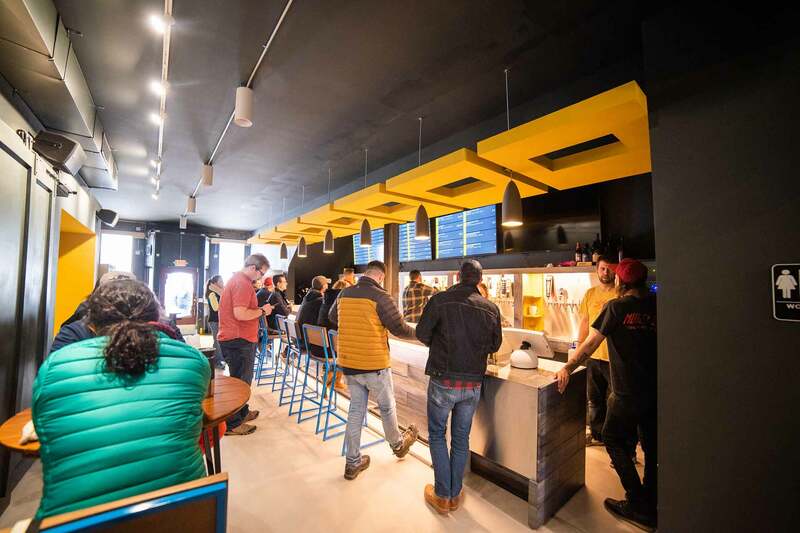 Owners of the Atwood beer haven BarleyPop Tap & Shop opened their new Capitol Square outpost this weekend. 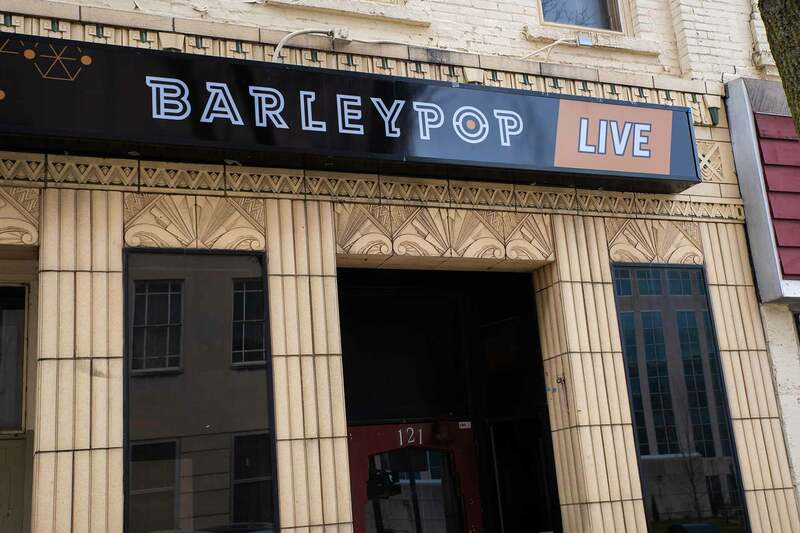 Located in the former Frequency space at 121 W. Main St., co-owners Jason Hajdik and Brandon Dorman intend for BarleyPop Live to serve as both a beer lover’s paradise and an independent live music venue. 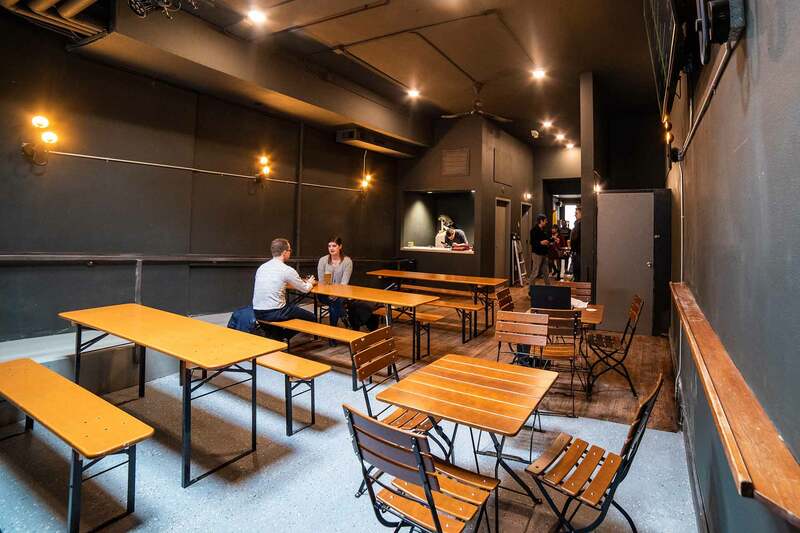 Hajdik and Dorman signed a lease last year and have since undertaken some serious redesigns. Former patrons of The Frequency will recall it was broken up into two distinct rooms: a front bar half and a back music room. As BarleyPop Live, the front room is an almost complete gut job. Due to issues of structure, space and creative vision, the bar needed to go and the wall behind it knocked out. The old front room was charming but grimy. The new iteration feels extremely, for lack of a better word, modern. 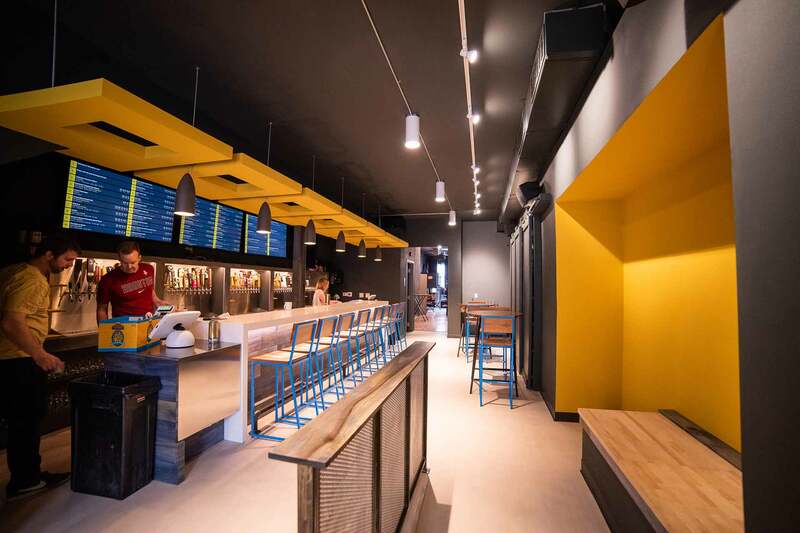 Clean lines and a gray-and-yellow color palette are in keeping with the Atwood location’s general aesthetic. Also in line with the original outpost’s vibe is an impressive beer list. 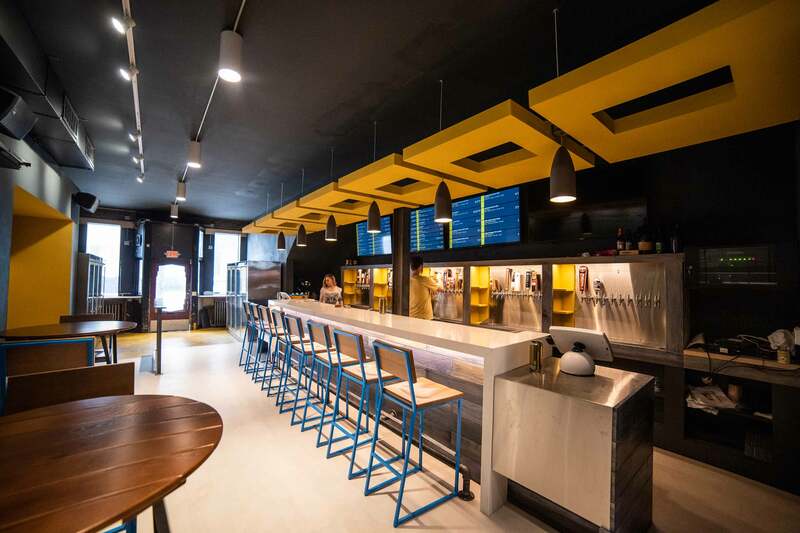 The bar has 50 tap lines, though offerings were scaled back to 10 at the soft opening. 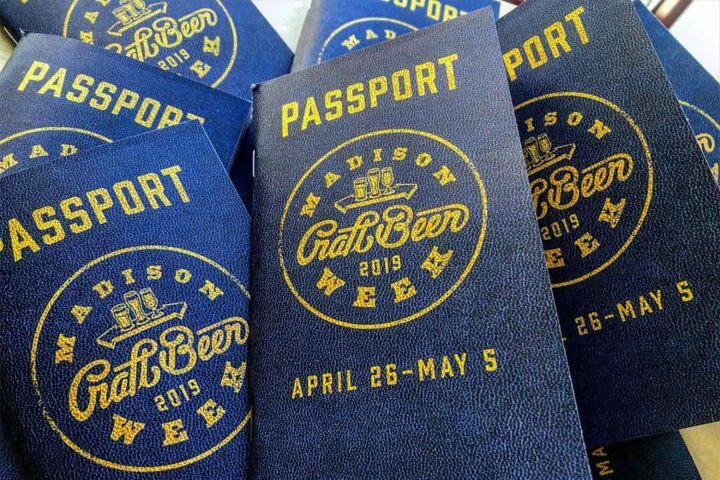 But even that list was thoughtfully curated, with a heavy Midwest focus that included pale ales, sours, saisons, ciders, and stouts. 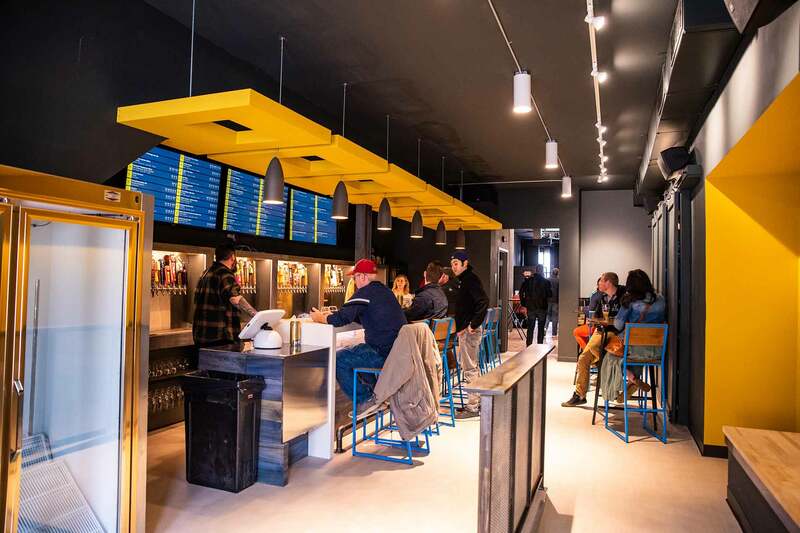 It featured regional heavyweights like Hinterland, Bell’s and 3 Floyds, and more local operations such as Central Waters and Restoration Cider. 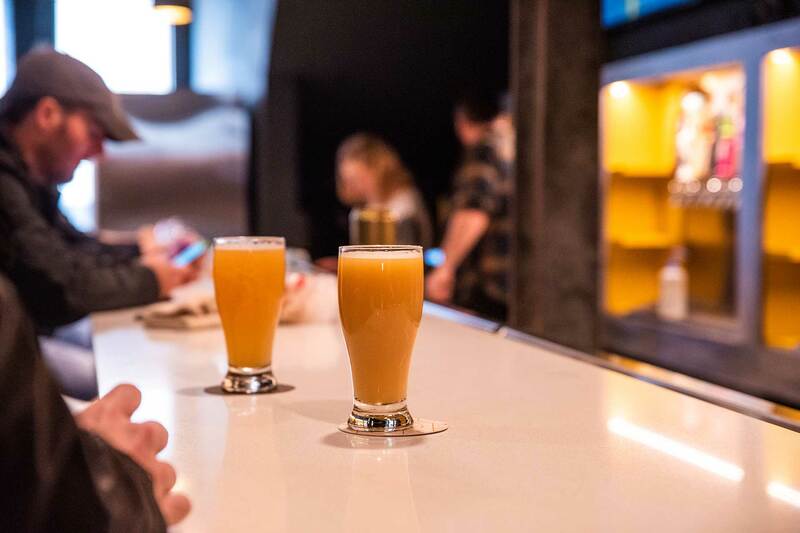 BarleyPop Live, like the Atwood location, is a beer bar first and foremost; there’s no kitchen, and while the owners are applying for a liquor license, future liquor offerings would be only select spirits and cocktails. If customers with Frequency nostalgia are struck by the changes to BarleyPop Live’s front half, they’ll be at ease in the back. 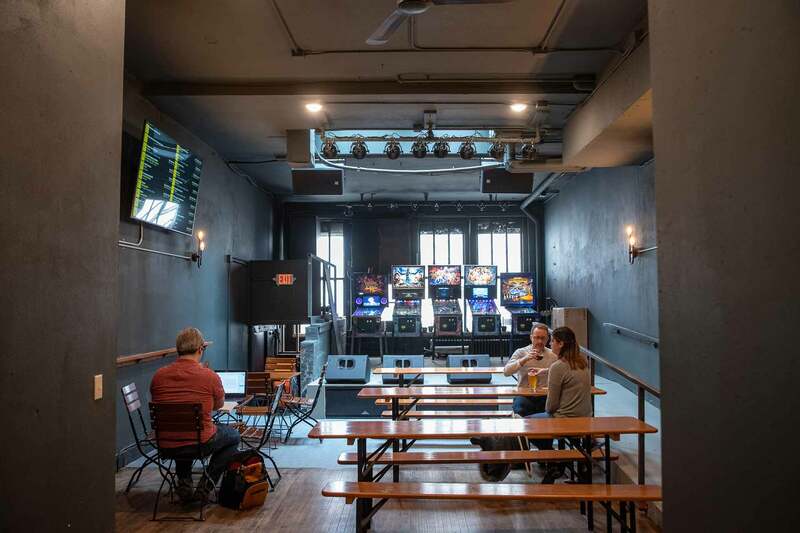 It’s mostly preserved, with a few alterations: a good scrub, upgraded restrooms, a lower and ADA-compliant stage, and five pinball machines for customers to play on non-event nights. The bar will be open seven days a week, says Hajdik. 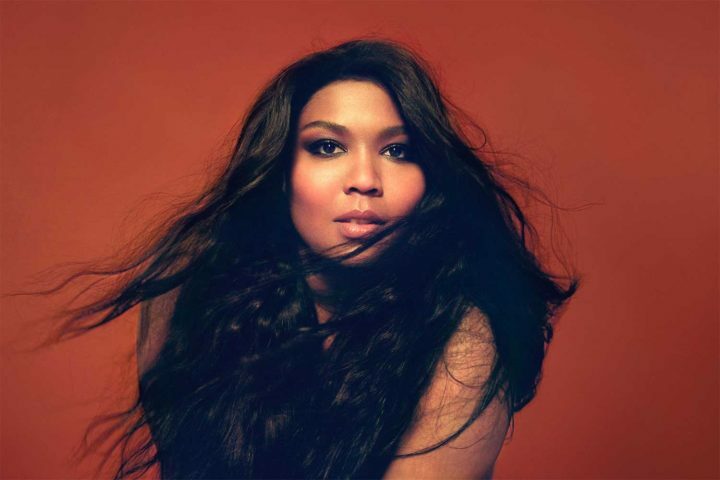 The target is to have music in the back room Thursdays through Saturdays. 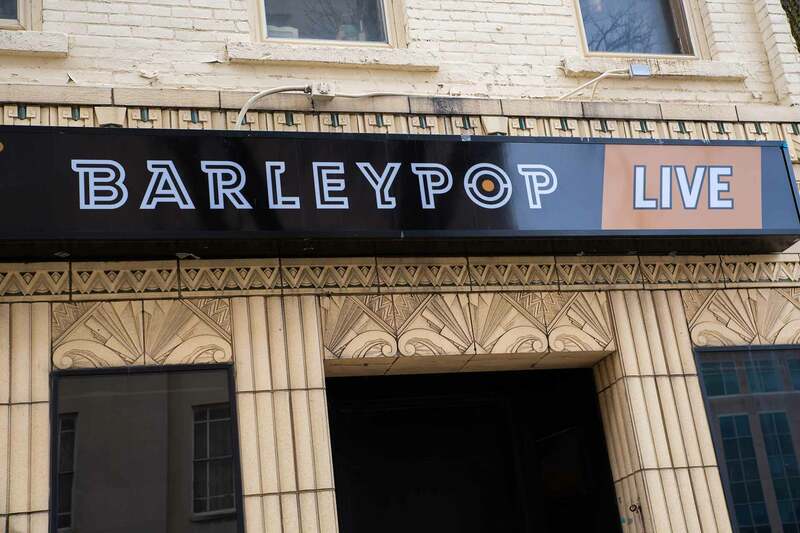 Booking will be done in-house and open to all styles (“from Latin Jazz to hard rock,” per Hadjik), placing BarleyPop Live alongside Communication and The Winnebago as new venues for Madison’s independent music community. 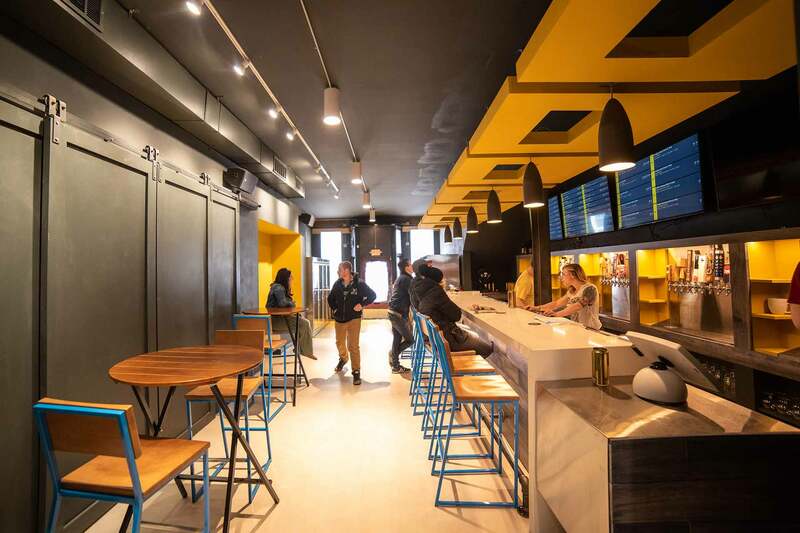 All in all, BarleyPop Live is a welcome addition to the Capitol Square’s bar scene. For one, it represents the reopening of a venerable music space. 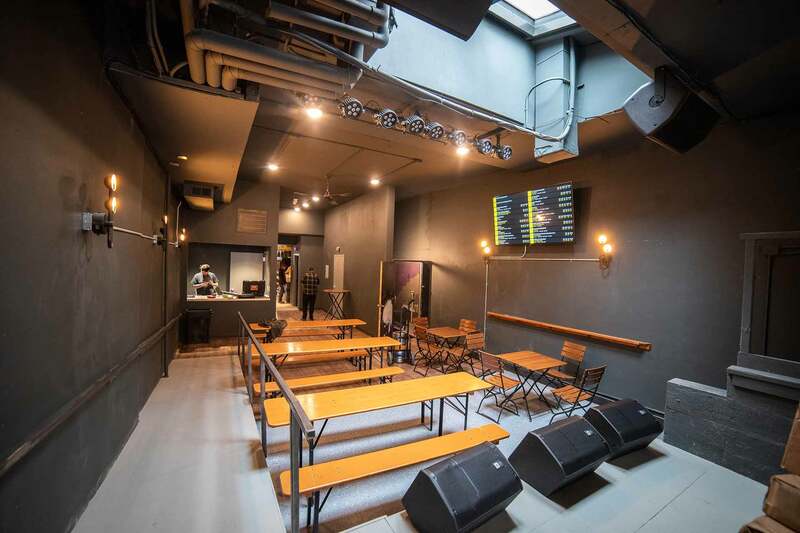 (And the 125-capacity size isn’t especially well-replicated elsewhere in the city.) 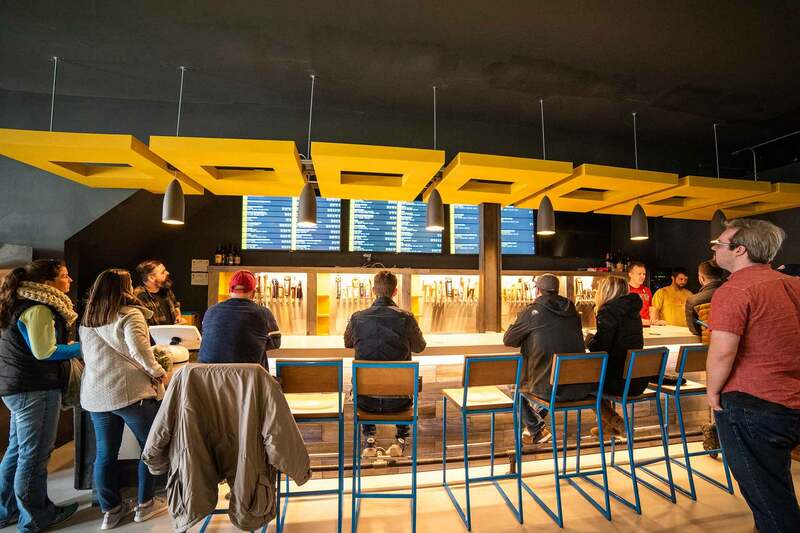 For another, it gives hops and malt lovers a true downtown destination of a focused beer bar, perhaps offering competition to the national chain HopCat as the beer-seeker’s bar of choice in the area.